Nearly 1 in 2 residency applications don't get read. Alec Palmerton, MD graduated from Stanford Medical School. He was ranked to match in his top choice residency at Harvard-MGH only 3 days after his interview. He teaches students how to master – not memorize – for impressive Boards scores and fulfilling careers. That's why every flashcard we craft fosters the mastery behind impressive Boards scores. If you were invited to America's Top Chef, would you memorize hundreds of recipes, but never actually cook anything? With Yousmle, you'll be applying concepts, just like the real thing. Learning should be as seamless as watching a video, then having an effortless system to remember it forever. Now there is. For each of the more than 50+ videos, there are “integration and application” questions afterwards. Effective question interpretation means you can approach ANY question, and know EXACTLY what every sentence means, allowing you to get through questions faster with higher scores. Memorizing material may work for med school exams. However, for impressive USMLE Step 1 and Step 2 CK scores, you need to master and apply the information. Yousmle Online Course videos take beginners to mastery of the most important USMLE material, so you can answer even the most challenging Step 1 or Step 2 CK questions. Want to know the #1 reason you keep forgetting everything you watch/read after a coulpe days? Because it takes so long to take notes, re-watch important parts, and maek flashcards that the work stays in your "to do's." Yousmle Online Couse lectures help you master the material AND never forget it. Simply copy and paste custom-made flashcards into your Anki deck so you never forget the material. Simply do your Anki cards every day and you'll never forget the material again. Then you can apply the knowledge to crush USMLE Step 1 or Step 2 CK. 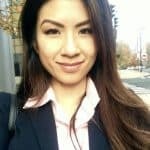 "Currently in the middle of interview season, and I have received invites from ~20 programs that include many top tier schools (Harvard, Columbia, Cleveland Clinic, University of Washington, Mayo, Yale, NYU, Dartmouth) and some of the most competitive transitional years (University of Hawaii, Scripps Mercy)." "Honored 4 clerkships, scored a 260 on Step 2"
"Honored ZERO classes MS1 and MS2 year, scored a 226 on Step 1"
"By sticking with the two-fold approach of building foundational knowledge and mastering interpretation, I not only performed well on the USMLEs, but also became a valuable team member actively involved in patient care." Honors in 5 clerkships, 95th percentile on IM, Peds and Neurology shelf exams and 261 on Step 2 CK"
"I scored a 168 on Step 1 and went into panic mode"
Is there a separate group for Step 1 students? How about Step 2 or 3 students? What if I only want to work with you one-on-one? Can I opt out of group tutoring? What the charges are for towards for the $800 + $597 package? Am I paying $800 only once and $597 every month? What exactly is the $800 towards, since the $597 is for the group tutoring? © 2019 Yousmle, LLC. All Rights Reserved.